If you own a grill, summer is probably the time of year when you get the most use out of it. 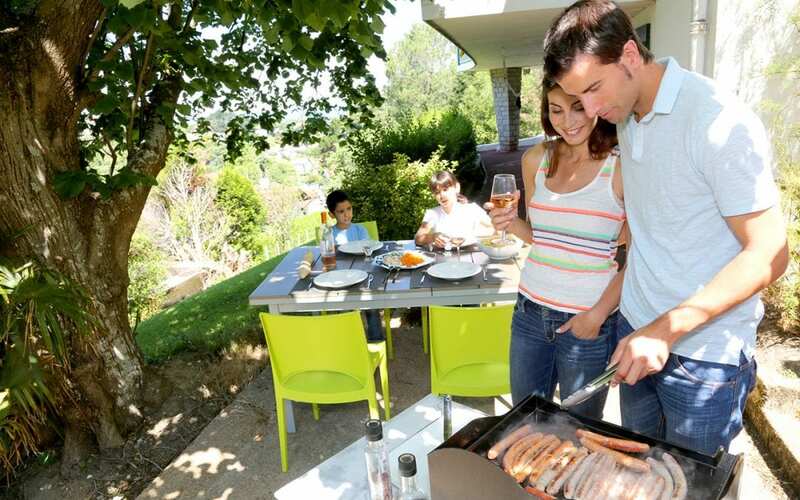 Having family and friends over for a backyard cookout is the makings for a perfect afternoon or evening. But with 7,000 summertime grill injuries reported each year, keeping a few backyard grill safety tips in mind before we light up the grill could save us from serious injuries. Backyard grill safety begins with placement of the grill. You should keep your grill at least ten feet away from building structures, children or pets, and any potential fire or safety hazard. This includes the fire hazards below the grill. Spraying some starter fluid on the coals can spill onto wood decks and create an instant fire hazard. Never use your grill indoors. Although a gas grill may, in theory, operate no differently than a gas stove indoors, there is a lot more to consider. Your gas stove has a vent directly above it to bring in fresh air and remove the fumes. Carbon monoxide is a toxic gas that is emitted from a grill. If you do not draw fresh air into the cooking area, you risk getting carbon monoxide poisoning when grilling indoors. Exposure to carbon monoxide can take a long-term toll on your health and can be deadly in high concentrations. The other danger with using a propane grill indoors is the risk of leaving the propane gas open. You can have a slow unnoticeable leak if you don’t shut the valve properly which can make people sick or lead to a deadly house fire. People can be injured when they allow the gas to build up under the closed grill lid before attempting to light the grill. With too much propane, a huge flame can erupt once the lid is opened and cause burns. This is especially common when there is a problem with a faulty igniter and the owner simply thinks that he doesn’t have enough gas for it to catch. Checking for leaks and cleaning your grill are important aspects of backyard grill safety. It is simple to use soapy dish detergent water to check the hoses and fittings for visible bubbles and pinpoint signs of leakage. Never operate a grill with leaks in the gas lines. By cleaning the grease from inside the grill, you are doing the preventive maintenance to reduce dangerous flare-ups. A wire grill brush is your best friend for taking down the coatings of grease-laden residue that collects on your rails. When it comes to backyard grill safety, there is nothing more serious than a tiny grease fire that quickly grows out of control by a lack of preparation. Always be sure to have a fire extinguisher nearby that is specifically designed for grease and that has a current date. For smaller grease flare-ups that haven’t reached a critical danger point, a spray bottle of fresh water should do the trick. With these tips in mind, you can reduce your chances of having an unfortunate accident at your next cookout. Practice these backyard grill safety tips to keep your friends and family safe and having fun all season long. Professional Inspection Network serves Southern California with home and commercial inspection services. Contact us to schedule an inspection.